Wrinkles and stains. For me those are the two largest concerns I have when I know I need a dress shirt, or “button down” shirt on a trip. (This is also the standard shirt I wear, so I can’t recall any time when I didn’t pack one or more.) Will it wrinkle? Will it clean easily if I spill my Tex-Mex all over it? Will it still look good after a couple days in a plane or a suitcase? Once I started looking at these shirts, these issues became really apparent to me. Wearing technologically laden shirts is nothing like wearing a traditional button down, and that’s a very good thing in this case. 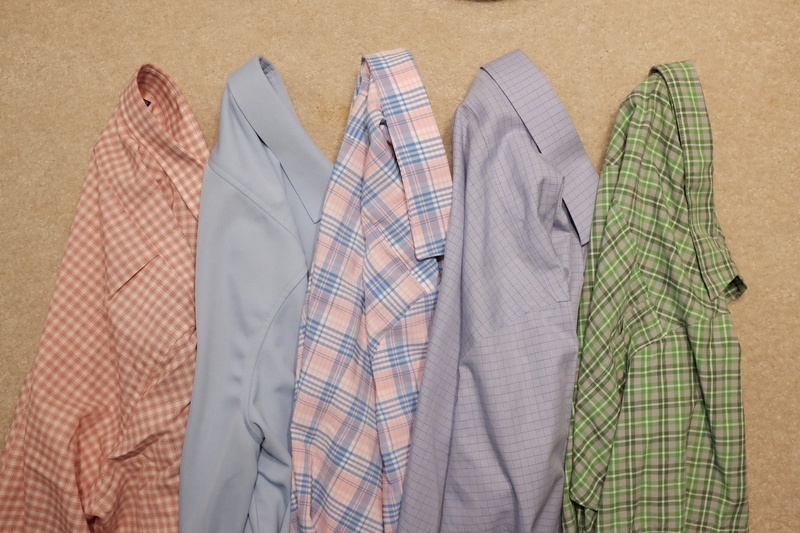 All of these shirts are more comfortable than even some of my most casual cotton Oxford shirts. If you’ve worn some of those hiking, or “travel”, button down shirts — these are nothing like those. I bought a short sleeved hiking style shirt for our trip to Disney World thinking it would help me stay cool — good lord I hated that shirt. It made me sweat more than my cotton shirts, I was miserable, and it looked like I was wearing a hiking shirt. These shirts, by contrast, look sharp, are comfortable, and actually keep your body temp comfortable. If I had these when I went to Disney, I probably would have worn them even though they are all long sleeved. They are that good. The first shirt I got on this rampage was the Ministry of Supply Apollo dress shirt in Oxford Blue. This shirt is fully synthetic and is kind of crazy feeling. It feels very soft to the touch and is actually quite a bit heavier than I would have thought. It also refuses to wrinkle and dries very fast. In fact the fabric looks like it is knitted and because of that it looks more like a traditional dress shirt fabric. As far as wearing comfort goes, I am not sure you could find a more comfortable shirt to wear — it feels damn good — and it stretches so well that you never feel constrained by the shirt. There are two caveats with this shirt. The first being: the shirt drapes really heavy. Most cotton dress shirts have a bit of rigidity to the fabric, but the Apollo has essentially none. This is part of the reason why it is so comfortable, but it is also the dead give away that this isn’t a normal shirt. The drape just doesn’t look like you would expect it to. The second issue is the sizing. Typically you buy nicer men’s button downs in sizes which are: Neck/Sleeve — so I am a 17/36 in those sizes (17 inch neck, and 36 inch sleeve length). That sizing insures the two most important fit points for a button down hit me right. The Apollo shirts are sold in the standard S/M/L/XL sizing and as such I need to buy the XL to get the sleeve length. This leaves the collar being bigger than I want on me. If the collar were smaller, I would be in love with this shirt, but as it is the collar is just a tad too big. 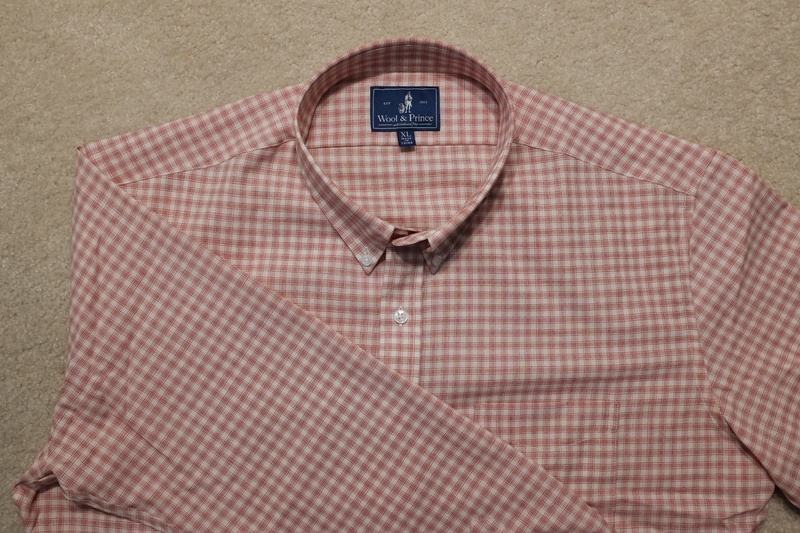 I am not sure if this is a result of the larger sized collar than normal, but I find the collar laying a lot flatter at the points than I would ideally like it too. I can’t say for sure whether this is a flaw in the design of the shirt, or simply a fit issue — likely some of both. The nature of this fabric doesn’t lend itself to a crisp looking collar, but it also doesn’t look sloppy. Because of this minor fit issue, the shirt always makes me feel a little self-conscious about how the collar is laying. Most people might not notice, but it’s all I see when I look in the mirror. Overall, if the shirt fits your body correctly, this is a fantastic shirt and easily recommendable. Even with the ill fitting collar, I wear the shirt quite often as it is easily the most comfortable shirt on an airplane. 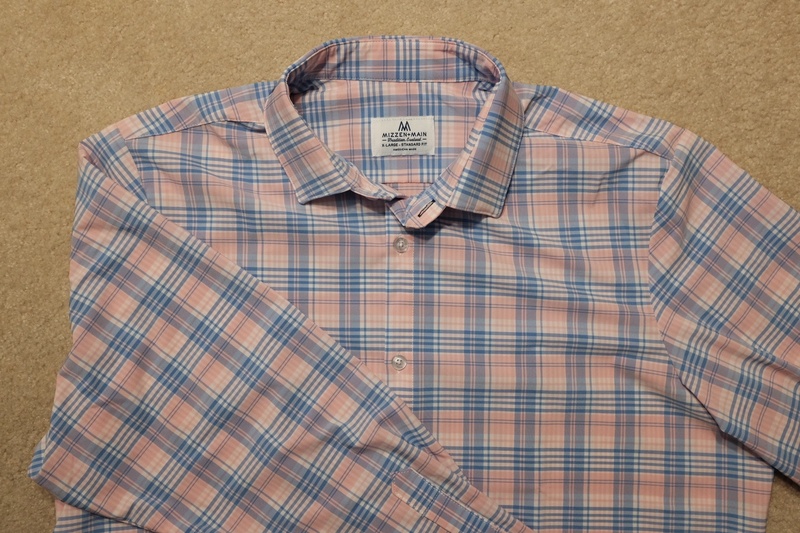 I had a bit of trouble getting this shirt, as I had to exchange it a few times to get the right fit, but kudos to Mizzen & Main as this was still pretty painless (though took a bit of extra time). 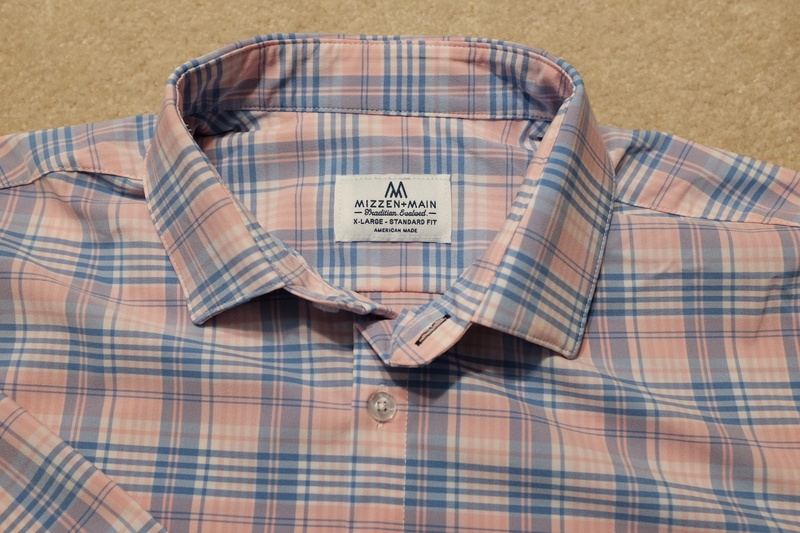 Mizzen & Main was another brand I saw come up all the time so I knew I wanted to try one. They use the standard S/M/L/XL, but mix in a few Tall lengths as well. They also have two fits: Trim and Standard. From what I can tell, they ship Trim Fit for everything (except for a few in a specific Standard Fit section), but through exchanging I was able to get a Standard Fit — which fits my body much better — in the pattern I wanted. 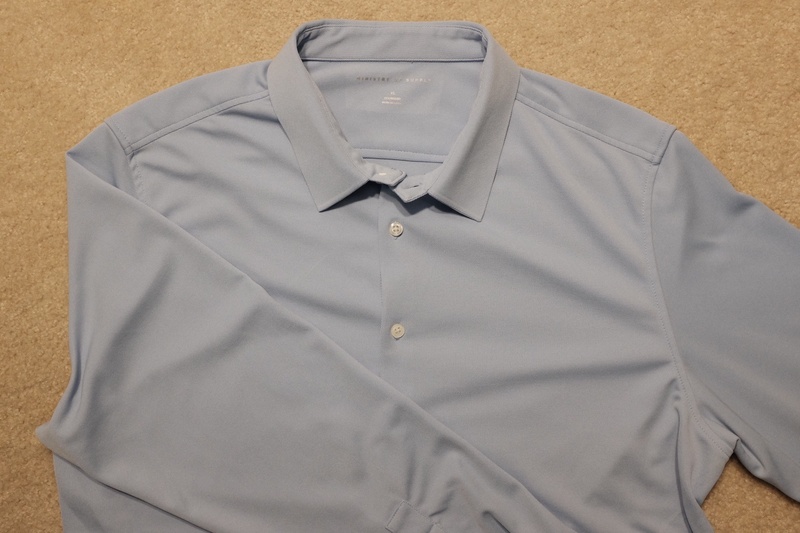 These shirts have the same principle has Ministry of Supply: moisture wicking, stretch, wrinkle resistant. Of the three shirts, this shirt is the one I have received the most compliments on — and no one was able to tell it was anything but a normal shirt. It also fits exceptionally well. Unlike the Ministry of Supply shirt, the drape is very near normal. But on your skin, it is the least comfortable of the three shirts I tested. It is very smooth, but not very soft. In no way did I find the shirt uncomfortable, but when compared to the other shirts I prefer the feeling of the other two. However, it is still more comfortable overall than a cotton button down. From a style perspective the Mizzen & Main shirts are far and away the most stylish patterned shirts. While the other two brands looked towards more classic colors and styles, Mizzen & Main has plenty of bright and bold options. Something which really drew my eye to the company. Aside from the feel of the fabric, which is a minor complaint, the wrinkle resistance of the shirt I call into question. After a couple hours of being tucked in there are lasting wrinkles in the waist band area of the shirt. And those wrinkles stay around for quite some time — even now about 4 days after the last time I wore the shirt, there are wrinkles from it being tucked in. This is the most wrinkle prone shirt of the lot, though still less so than a typical cotton shirt. The wrinkles mostly are seen where the shirt creases while tucked in — when rolling my sleeves no wrinkles stayed for any considerable amount of time. The collars and cuffs on this shirt are heavier. With the material thick in these spots. They look good, and hold their shape and position well enough, but they could be lighter if I had my say. Of the shirts tested, this is the shirt I would recommend if you need something to tuck in, and which looks more traditional. If you just want people to think you are wearing a normal shirt, and you want to lean towards a more dressy look, these are the shirts to buy. They also seem to have the loudest patters and colors. Buy one with this link, and I get a referral credit. I picked up a Wool & Prince button-down after seeing a ton of recommendations for these 100% Merino wool shirts. Yes, they even make Merino wool button down shirts.1 I haven’t had the shirt very long, but I am already enamored with it. I was expecting something thicker, closer to my Filson Alaskan Guide shirt (which I wasn’t excited about for a travel shirt), but in reality — of all the shirts in this guide — this wool shirt is the most cotton like of them all. It drapes almost the same as cotton and looks the most cotton when you wear it. It is also really comfortable to wear. The fit is also great, despite buying from the S/M/L/XL guide. The button-down model of the shirts all have button down collars, and also seem made to be worn untucked. This is a nice option for dressing down the Bluffworks pants I like to wear with the shirt. However, it also makes it a bit trickier to wear when you want it tucked in as I find that it is untucked in the back after a plane flight since the tail of the shirt is a bit shorter (by design). They do make a dressier version, which I can only assume has longer shirt tails so that it stays tucked in more, but I have not tried it. 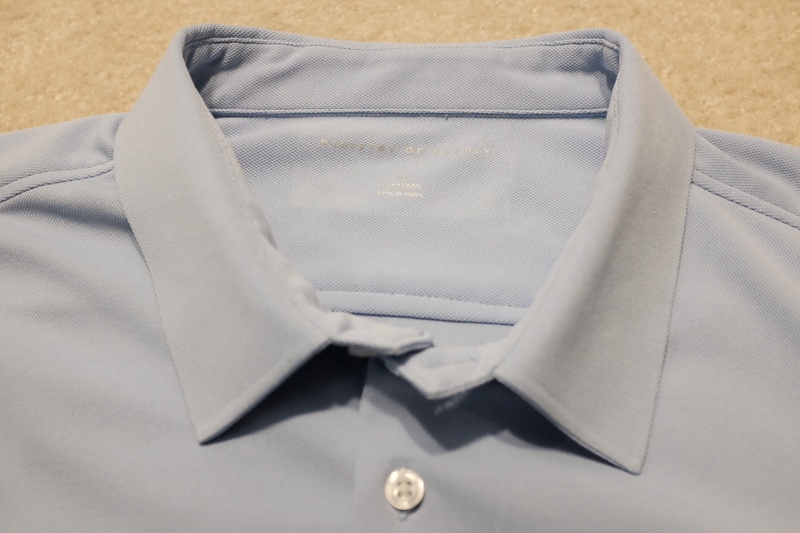 The collar is another great aspect of this shirt, as it isn’t heavy and yet holds its shape very well. It looks like a perfectly pressed collar every time I wear the shirt. Simply great. The pressed look is something I have yet to find in synthetic shirts. The shirt is very wrinkle resistant, only showing some of the creasing from how it was shipped, but not showing any other wrinkles (even when I rolled up the sleeves for an entire day). Overall, fantastic shirt. Outlier also sells some dress shirts, which look excellent, but I did not have a chance to test one — and frankly I didn’t have the budget to buy one either. Certainly a brand to consider though. From left to right: Wool & Prince, Ministry of Supply Apolo, Mizzen & Main, Brooks Brothers wrinkle resisted cotton shirt, Columbia hiking shirt which I really hate. 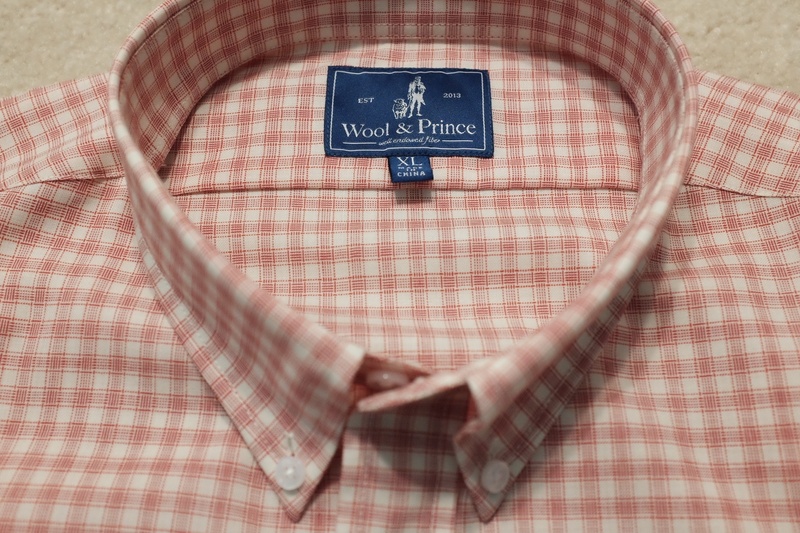 If I am traveling for pleasure: I am packing the Wool & Prince shirt, it is simply fantastic and I would love to own a couple more of their shirts. If it is for work: I am packing the Mizzen & Main shirt, and the Ministry of Supply shirt if more subdued coloring is needed. While you can absolutely get away with only packing one of these shirts for a trip of any length: doing that is boring. I don’t mind wearing the same undershirt, underwear, or pants. But the same shirt, everyday, with no variety? Boring. I pack two, and one of them is always the Ministry of Supply shirt as a good basic. As for the second shirt, it really just depends on my mood and reason for the trip. You honestly can’t go wrong with any of these shirts, they are all very comfortable in varying ways and far superior to cotton shirts. Personally, I am not going to buy another cotton dress shirt, and am slowly going to phase out many that I do own. I prefer wearing these shirts daily. I love all three of these shirts so much, I wear them daily.